Have you recently noticed small fluffy white pests flying in the air or on trees in your yard? If you live in Charlotte or the surrounding areas, the answer is more than likely yes! The greater Charlotte area is experiencing large quantities of small flying white pests otherwise known as Woolly Aphids. These tiny critters aren’t actually covered in white fluff rather strands of wax projecting the fluffy wool-like appearance. 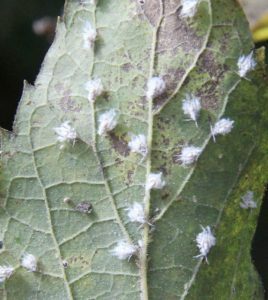 Although the Woolly Aphids are not dangerous or poisonous to humans they’re considered a notable nuisance; the irritant itself comes from what the Woolly Aphids produce - honeydew. 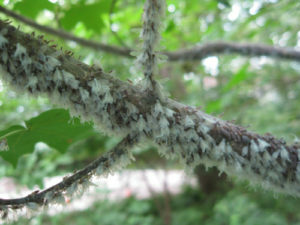 The Woolly Aphid feeds on certain parts of trees then creates a sticky by product that stays left behind on trees, shrubs, and grass and can quickly become an annoyance, especially for homeowners that have trees in close proximity to walkways or foot trafficked areas. Once Honeydew is created from the Woolly Aphid it then evolves into sooty mold, which is a black, dry coating that adheres to plant leaves. Although not detrimental, sooty mold makes the leaves look diseased and is unappealing in sight. The spread of sooty mold to other plants is rapid, taking hold in just a matter of days. Are Woolly Aphids considered uninvited guests on your property? 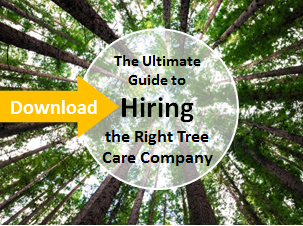 By choosing the Right Tree Service Company, you'll be saying so long to Woolly Aphids! Woolly Aphids are typically controlled with a mild insecticide and treatment is recommended annually. Would you like to read more? Head over to the North Carolina Cooperative Extension website for an article on these white, fuzzy critters. We want to make sure we covered any question you may have regarding Woolly Aphids, if we missed the mark in the article above, feel free to call 704.788.8733 and speak with a certified arborist today!